West Ham striker Javier Hernandez has reportedly agreed personal terms with Valencia, according to the Sky Italia. The Mexican forward is understood to be looking for a way out of the club this January, to guarantee more first team football, but the Hammers are reluctant to let him leave. Valencia are on the hunt for a new goalscorer following the departure of Chelsea loanee Michy Batshuayi last week. Hernandez has scored five goals in all competitions so far this season, but has not featured since Christmas due to a back injury. Despite the 30-year-old supposedly agreeing terms with the La Liga side, Sky suggest that the Irons will remain resolute in their desire to keep hold of Chicharito. No, to put it simply. 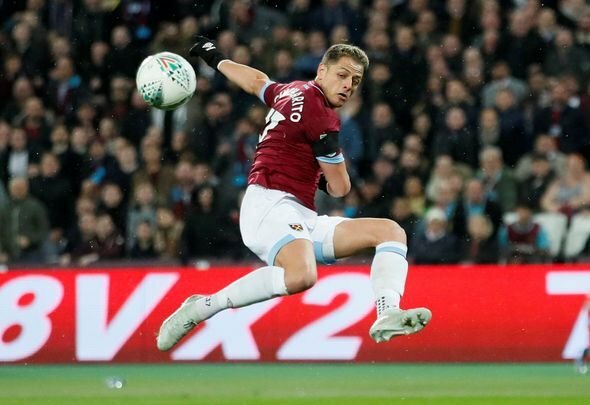 Hernandez has struggled for form and fitness since going in the Hammers, but prior to the back injury that has sidelined him in recent weeks he had begun to find that kind of rhythm that makes him such a desirable striking option. He may not be the most athletic or physical, but there are still few forwards in Europe who possess the same natural, clinical instinct for goalscoring that the Mexican is blessed with. Losing Hernandez, especially considering the ongoing rumours surrounding Marko Arnautovic would be a massive blow to the Hammers, and they will be desperate to avoid it. If the report is true then Hernandez is clearly desperate to leave, but that doesn’t mean that West Ham have to sell. It can, of course, be disruptive to have a wantaway player in the dressing room, but the Irons have to set a precedent, and cannot allow a star performer to walk out of the door every time another team turns their head. Ultimately, if West Ham say that Hernandez is staying at the club, then Hernandez will have to stay at the club.